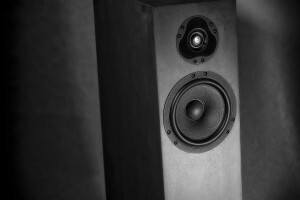 It so happened that I have never had an opportunity to review any loudspeakers of one of the most renown Polish brands, the Warsaw-based ESA. I listened to several models in different systems at friends. I also remember two or three listening sessions in distributors showrooms when I looked for speakers for myself more then a dozen years ago. Also, every year for many years now I’ve never missed an opportunity to visit ESA’s presentations during the Audio Video Show (AVS) in Warsaw. One of the main reasons was always the fact, that each time they were led by the head of the company and its chief designer, Mr. Andrzej Zawada. He’s a man of exceptional musical taste, and a walking encyclopedia of knowledge about every album he presents (and probably hundreds, if not thousands more). So visiting his room is always interesting and each time I come out of there knowing more then before. Another important reason, obviously, is a very good to remarkable (depending on the system) sound. Over the years the AVS has grown so much that it is virtually impossible to visit every room, and even if it is, one can’t spend several minutes in each of them and give a listen to every presentation. Hence, I always try to prepare studying the Show’s guide to decide in advance which presentations are ‘musts’ for me, which are ‘maybes’, and which ones I can let go completely (that’s mainly the “Video” part of the Show for me). Last year, as always, the ESA’s room was on my “musts” list. And it was not even about the system that would actually be presented, but about the fact, that in this room it is the music that is always in the spotlight, so to speak, not the system. Mr. Andrzej always has something interesting to say about every album he plays (and he plays music mostly from vinyl records – which is definitely a bonus from my perspective). Although ultimately, after an interesting introduction of a track to be played, comes the moment when the music begins to speak for itself and … to my ears this year it sounded even better than usually. 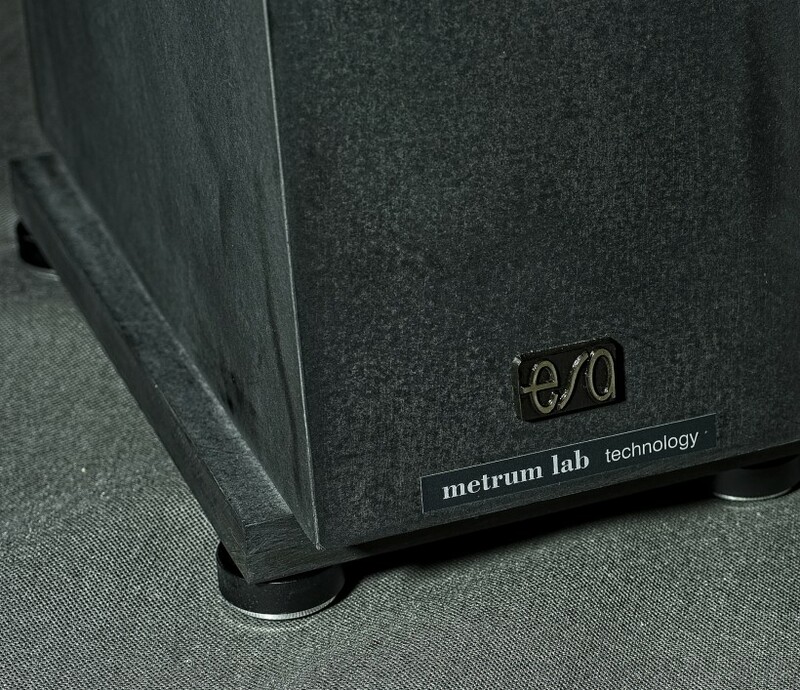 The system consisted of: Avid’s turntable and phonostage, but also their new integrated SigSum amplifier, which drove speakers that strongly reminded me of a well-known and highly valued ESA model, Credo III Illuminator. And yet, they were somewhat different. As it turned out it was a new model although based on the aforementioned one, which was developed in cooperation with Metrum Lab. The latter, which took its motto from one of the basic principles of medical ethics “primum non nocere” (first, do no harm) also provided their cables for the system. The size, shape, even drivers I could see seemed exactly the same as in the older model, and the only difference visible from outside were cabinets clearly made of a different, natural stone-like-looking material. As Mr Zawada told me, he discovered this material some time ago and firstly he had cabinets made of it for one of his small, bookshelf speakers. Not really knowing what to expect, he put two versions side by side, and just to be perfectly clear, the only difference for the new prototype was the composite material its cabinets were made of. The performance of the prototype was not just better but some margin, it was clearly superior in every possible aspect. Just the cabinets took these speakers to a whole new level. So soon after he began to work on a larger model using cabinets made of the same composite material. Another company, Metrum Lab contributed to the development with their proprietary technology and the first fruit of this cooperation premiered during the AVS 2018. 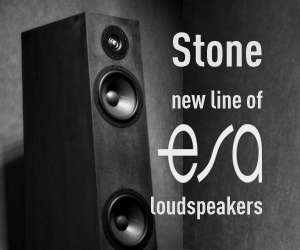 As the chief designer told me, it is the first model of a new line of speakers called Stone. The next models in the series are to be completely new, designed from a scratch. The first one, however, based largely on the well-known and highly valued Credo III Illuminator, was called Credo Stone. 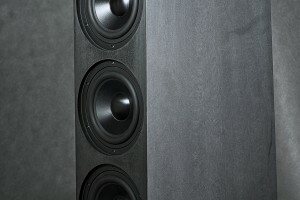 When I learned about the new ESA loudspeakers I remembered that some time ago, Mr. Michał Gogulski (Polish distributor of, among others, Avid and Nagra brands) mentioned to me a new composite material featuring, among others ingredients, cellulose and stone, exhibiting exceptional properties that could be used also in audio. From what I remember, he spoke about it in the context of making components such as anti-vibration platforms and racks from it. It was exactly the same material that was used for cabinets of the new Credo Stone. 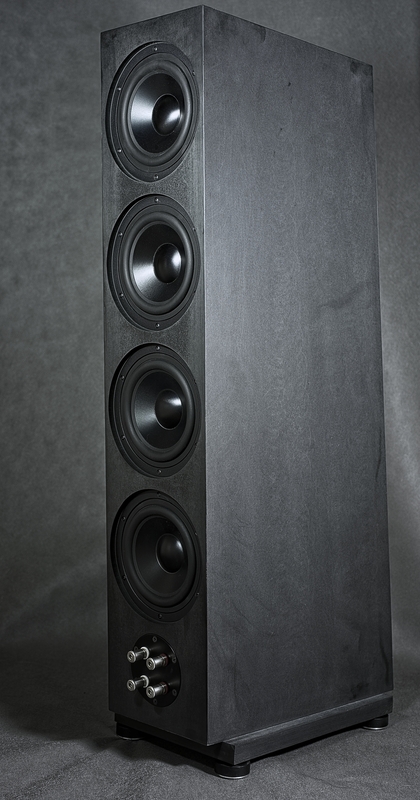 According to the people involved in this project, this material alone brought a huge improvement to the sound of these excellent loudspeakers (even though the same drivers and crossovers were used as in Credo III Illuminator). This composite has been originally used in very exotic (from our point of view) industries. Some elements of rockets or airplanes are made of it, but also kitchen countertops. 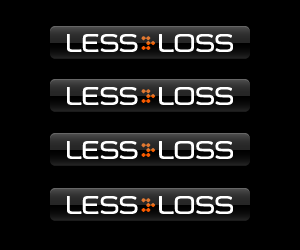 Until now, it has not been really used in the audio industry for two main reasons. First of all, the prices of this material, that is much more expensive than MDF or plywood most loudspeaker manufacturers use. Secondly, because working with this material is extremely difficult, hence very costly and time-consuming. So in order to justify the several times higher production costs, the performance level increase these resulted in had to make hell of an impression on the ESA owner. As I mentioned, the cabinet material wasn’t the only “upgrade” for the otherwise “old” design. Other one was contributed by a company called METRUM LAB, that developed a proprietary process used on crossover elements and internal wiring of the Credo Stone. 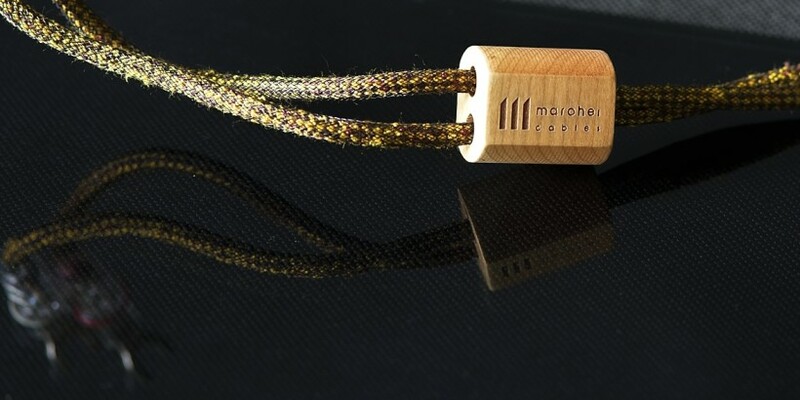 Its aim is to improve conductor’s properties on molecular level and, as a result, to significantly enhance the sonic performance. How does it work? This is a corporate secret. 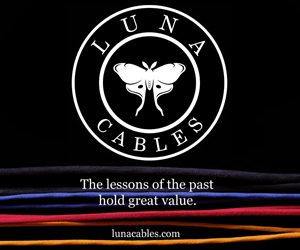 From the head company, Mr. Andrzej Grochowski, I learned that virtually any cable (but also coils and other elements of a crossover) can be subjected to the process, and the positive influence is repeatable in every case and impossible to negate. 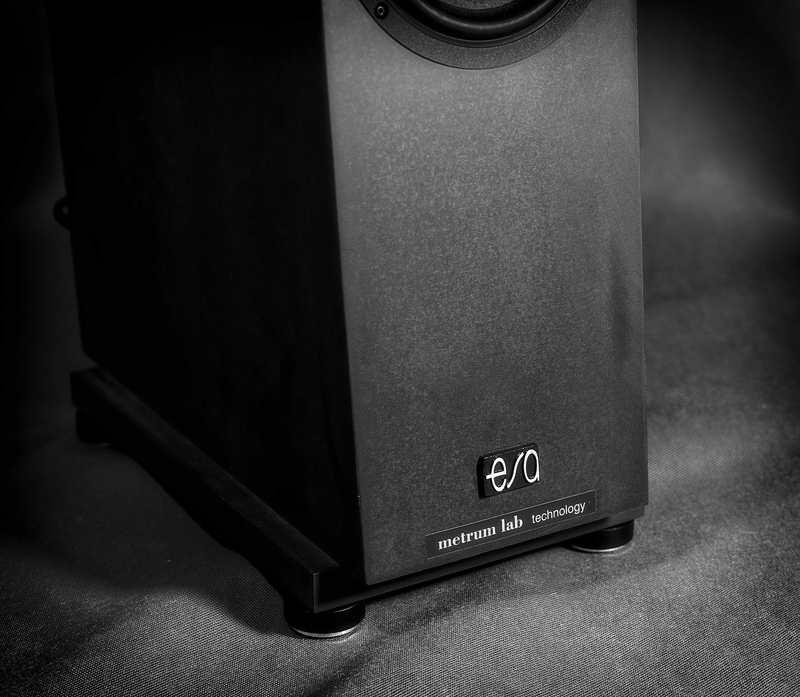 Utilizing this proprietary technology, Metrum Labs also manufacturers their own audio cables, and they have some more interesting projects in a development phase. Hopefully one day I will have a chance to write about them for you. Let’s get back to the Audio Video Show presentation for a moment. The ESA’s was, in my opinion, of the best ones last year, both due to the way it was run by Mr. Zawada and considering the sonic performance. So when after twenty or so minutes of listening, the sense of duty forced me to get up from the chair, I walked up to Mr. Zawada to say goodbye. While doing that I suggested that I would be happy to review his new speakers, as I loved the sound. Despite the initial objections resulting from the fact that it was the first pre-production pair with a little harsh, or actually natural finish (meaning the composite was only polished but no actual finish was applied) that not everyone liked and that it would probably not look so great on the photographs, Mr. Zawada ultimately agreed. Few weeks later the new ESA Credo Stone were delivered to my room along with the aforementioned Avid’s SigSum integrated amplifier. That gave me an opportunity to get to know them better, and to write this review for you. Probably many of you had an opportunity to listen to the Credo III Illuminator model at some point, since it has been, and still is, one of the company’s best sellers for years. Or maybe at least you’ve read one of several in-depth reviews of this model. Most of them provided a detailed description of this model’s design which hasn’t really changed for the Credo Stone. It is still a 2.5-way design featuring two 18cm ScanSpeak woofers from the excellent Illuminator series and a tweeter from the same manufacturer. Instead of a popular (and not my favourite) bass-reflex, ESA used four 18cm passive radiators, sourced from Wavecor. The cabinet, when viewed from the side, features clearly inclined front baffle and slightly inclined rear one. 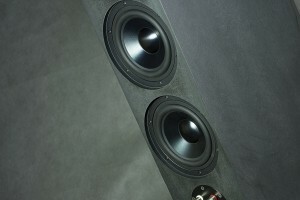 The loudspeakers utilize high-quality, double speaker terminals enabling bi-wiring or bi-amping. The new model features not only the same drivers, but also same elements of the crossover as the Credo III Illuminator. Also, the internal structure of the cabinet is similar, although, as mentioned already several time, it is made of a different material, a composite, offering superior acoustic properties. It is the latter and the process developed by Metrum Labs used on crossover elements and internal wiring, that allowed designers of the Credo Stone to achieve such a huge progress in terms of performance compared to model this one shares DNA with. The designers decided not to reveal more details of the design as they fell there is no reason to make competitors’ lives easier. They did, however, share with me an information that may be quite important for potential buyers. Namely, that one of the advantages of the composite in question is that it accepts virtually any kind of finish. It can be painted with lacquer of a selected color, or veneered, or oiled. 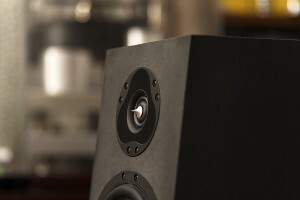 Yet another option executed in the case of the first pair presented during the AVS and reviewed by me, is leaving the surface in all of its natural, stone-like glory that became a part of this models name and will be used as a name for the whole new line of speakers. As a fan of wood myself, I would probably choose a nice wood veneer, but today many people prefer an industrial, slightly raw interior finish of their flats or houses. They are usually dominated by gray, sometimes in combination with white or black colors, and in such surroundings the natural finish of Credo Stone will fit in perfectly. Fans of more traditional or simply more colorful finishes can choose a completely different, almost any solution they might come up with (some may cost extra, obviously). I hope, that considering the fact, that the Credo Stone is based on another model that has been known for years and that the new solutions remain company’s secrets, you will forgive me focusing solely on what has always been most important for me. It is the sound, or rather the music, or maybe, to be precise, how well the Credo Stone present it, that actually matters to me. 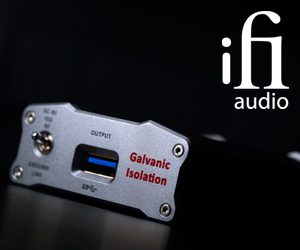 More then once or twice I listened to audio components that were supposed to offer exceptional performance due to some extraordinary materials and ingenious solutions. Some of them were actually remarkable. 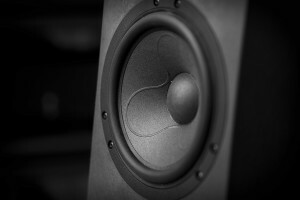 A uniqueness or superiority of others ended up with impressive specifications, sometimes (but not always) supported with a good sound, but often one that was missing a key ingredient – the music. The listening session (one of my longest ones during last year’s AVS) of the new ESA speakers already suggested, and the first hours spent with them in my room confirmed, that, without a doubt, the reviewed speakers represented the former of aforementioned groups of products. I’m not going to build a suspense for you, after all it is not a criminal novel, so let me say it right from the start that with each passing hour and day the Credo Stone managed to convince me more and more that they were an absolutely remarkable product. Simply because they did deliver, as promised, a world-class performance. 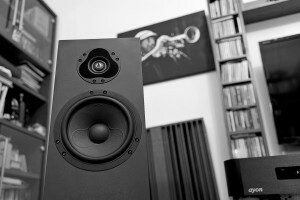 They turned out to be the best Polish loudspeakers, I’d ever listened to. Since I have made that clear, let me try and support this assessment. Before we get to the sonic performance let me first tell you shortly about the set up in my room and the system Credo Stone were tested in. 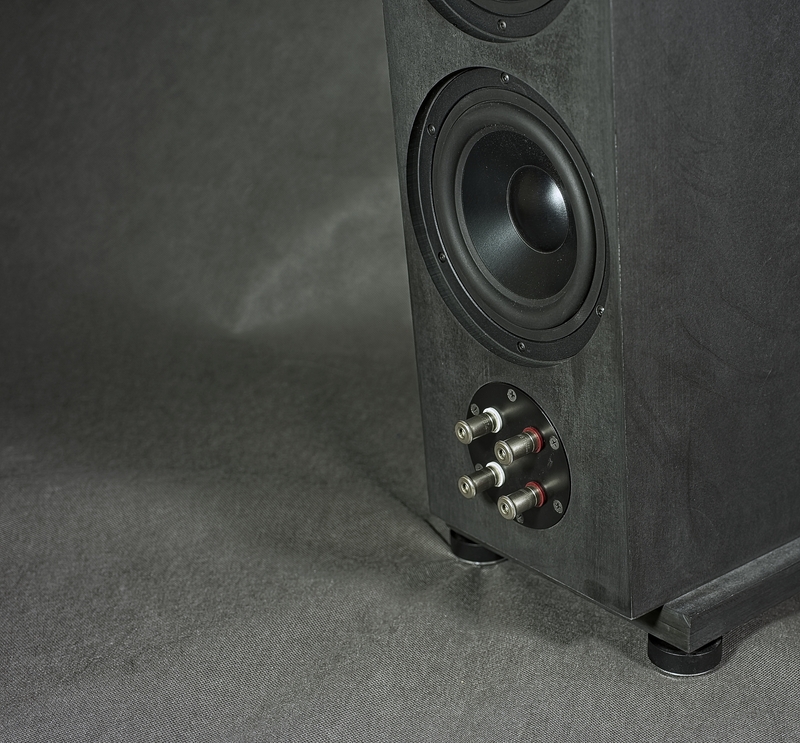 The four passive radiators on the rear of each speaker, that cover most of its surface, are quite impressive. Although it is not a bass-reflex design, remembering how great they sounded in not-so-perfect show’s conditions, where they were placed quite far from the wall behind them, I decided to also push them further away from the wall then I usually do. So there was more then 1 meter space behind them and even more on the sides. Later experiments confirmed that this was an optimal placement in my room. Since they were placed closer to my listening position then most speakers I review, I had to toe them in slightly more then usually. 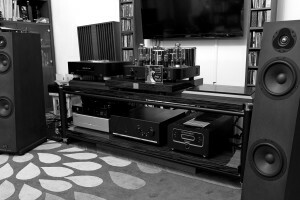 My J.Sikora Standard Max combined with the GrandiNote Celio phonostage were used as analogue source and the remarkable Ayon CD35 HF CD/SACD Player allowed me to play some digital discs. 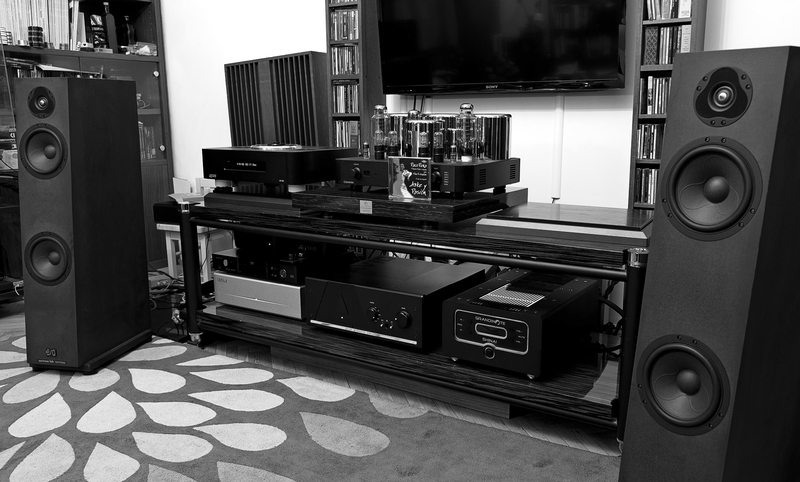 For the first part of the test I used the Avid SigSum, which did a great job at the AVS, and later I replaced it (not simultaneously) with other integrated amplifiers – the Ayon Crossfire III (SET) and my GrandiNote Shinai (Class A solid-state). 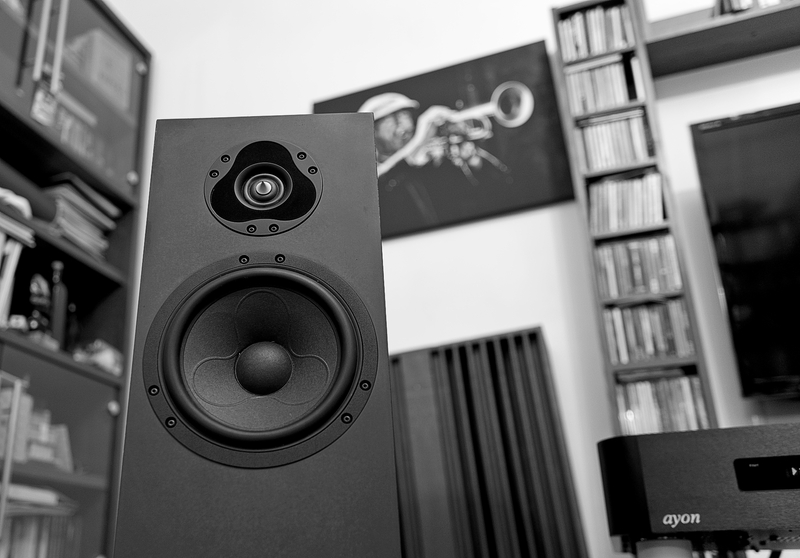 Since I’ve already revealed that these are damn good speakers, it’s time to elaborate on that. Two sonic qualities attracted my attention from the very first listening session. 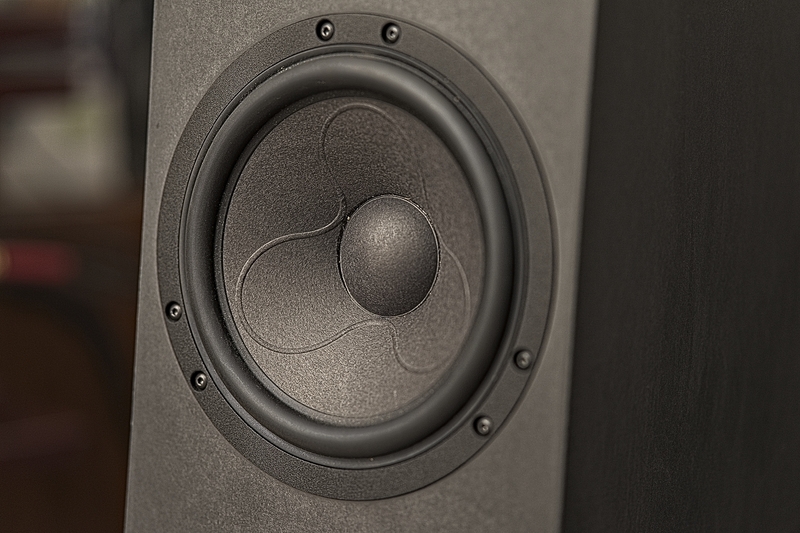 Not because they dominated the whole presentation, or were the only two, but because in this areas Credo Stone simply strongly distinguished themselves among most other speakers I’d ever listened to in my room. 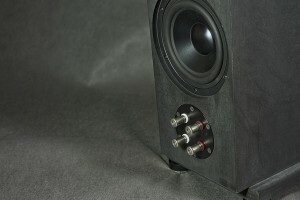 When I connected ESA speakers to Avid amplifier for the first time I was still concluding my review of a relatively inexpensive MagLev turntable. That’s quite a good sounding (especially with some simple upgrades) record player but definitely not in the same class as my J. Sikora deck or the Ayon CD35 HF player. And yet, already with this source Credo Stone were presenting their two strong advantages, that were always present no matter what setup I used them in. First of all – bass performance. Or should I rather say: BASS! And it was not about any sort of exaggeration in this part of the band, but the way it was presented. 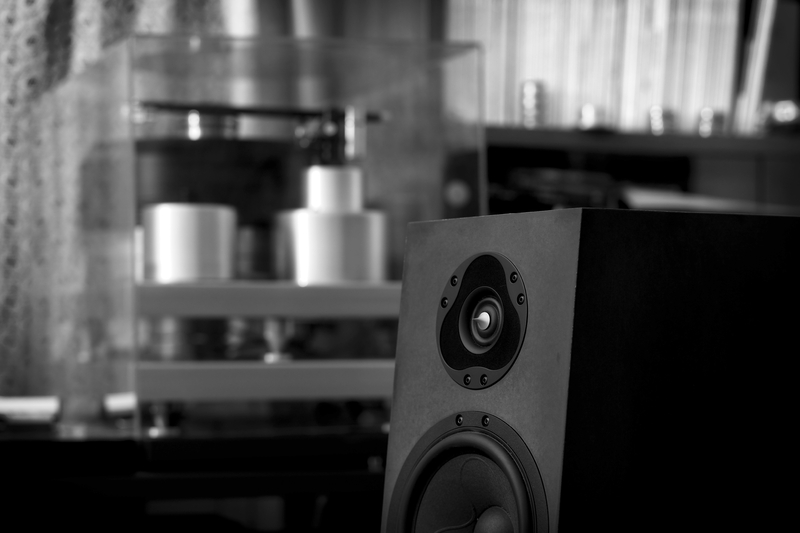 With these speakers (properly driven, that is) the low end was exceptionally clean, taut, well-differentiated, with a powerful, quite hard (but not hardened! ), fast leading edge and fantastic timing. When needed, they delivered truly visceral slam while maintaining full control and definition of even deepest bass notes. 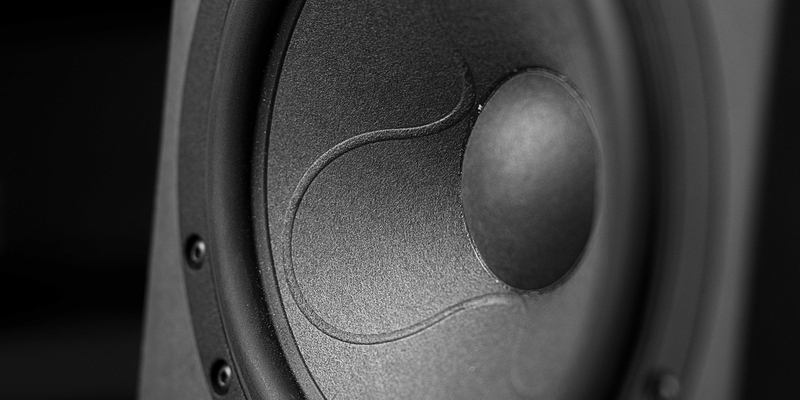 I have been a fan of speakers with large bass woofers for many years – my Ubiq Audio Model One Duelund Edition features a 12 inch one, my previous speakers utilized 15” drivers. This fascination with the size comes from the fact that large drivers are able to naturally and effortlessly push a large amount of air and create the right acoustic pressure level, and therefore one can not only hear but also feel the lowest notes deep in one’s bones. They are also able to play in an equally natural fashion fast strokes on snare drums as well as powerful ones played on tympani. The deep sounds of organs going as low as to the gates of the hell, or even more weighty, deeper electronic sounds. Speakers with such large diameter woofers have always sounded most natural for me when playing my favorite double bass, or piano. Firstly because of the ability to deliver very natural timbre and textures, and secondly because with them the sound was at the same time effortless and rich and deep, which in nature comes from their large bodies. Theoretically, loudspeakers featuring several smaller woofers may use even larger total diaphragm area, but still, for me, they often do not sound as natural, as realistic, as true as those with single, large woofers. End of side note. 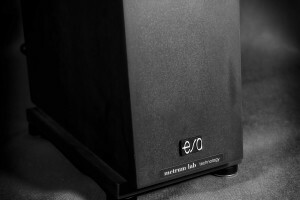 The ESA speakers under review do not feature particularly large woofers and despite four passive radiators, the sound is not so weighty, so authoritative as with my Ubiq One, for example. The question I asked myself almost immediately after realizing that, was: does it make their performance inferior? Do I like it less? Although based on my own preferences, for a moment I tried to convince myself that it does and I do, I had to give up almost immediately. The fact how fast, resolving, pure and remarkably well-defined the low tones were with Credo Stone, their ability to accurately convey timbre and texture of each instrument, all this combined made up an amazingly enjoyable, interesting and simply damn good presentation. Unlike with many other components, that wowed me at first only to later become extremely tiring, the “wow” effect with Credo Stone turned out to be pretty permanent. So I found myself looking for more and more recordings with, for example, drums solos. Then I moved to powerful, electric blues, that to sound as immersive as it is live must be played with a perfect, or at least near to perfect PRAT. The system I was listening to just so happened to be one. I spent a day listening to initially Marcus Miller on his bass, and then to a whole bunch of rock albums, as all these recordings Credo Stone played in a such a lively, vivid, energetic way, that I simply couldn’t resist going on and on with the genre. The rock music, played mostly from not so high quality (to say the least from audiophile’s point of view) recordings, ESA speakers delivered in a much more enjoyable fashion than many competitors due to this sensational low frequency range control. It is the bass range where, in such recordings, there is a lot of chaos, as the bass is boomy, smeared or emphasized, but the ESAs were able to get it under some control and deliver it in a more orderly, hence enjoyable, way. It’s not about Credo Stone being able to “correct” recordings or hide its flaws – they don’t do that – but rather in their capability of making most of the musical material provided to them. So, for example, the Led Zeppelin album I listened to did not start to sound like an “audiophile edition”, but it did offer even more fun and became more enjoyable and involving, simply because it was presented in a more orderly fashion than with most loudspeakers I know. I spent a lot of time listening to various drummers’ performances, because drums played by Credo Stone with their speed and dynamics reminded me of live performances. I emphasize the “reminded me of” part, since at home same level of dynamics would be a serious health-risk, but it got close, closer than with most speakers I’ve listened to in my room. I liked sound of percussion so much not only because of the drums themselves, but also since the upper part of the band truly shined and shimmered. The cymbals sounded powerful, crisp, open, resonant. On the one hand, I could hear their natural hardness and metal character, on the other there was not even a hint of anything added to their sound by the speakers. Another particular quality was Credo Stone’s ability to properly differentiate treble which is so important to the accuracy and realism of the metal cymbals sound. This good resolution was particularly obvious, for example, when brushes were in use, and the sound did not fuse into a monotonous noise, but it was still very clear. Also some recordings with traditional Chinese music, full of all kinds of percussion instruments, sounded excellent. Despite the fact I was not even be able to name them all, due to the excellent differentiation and precise placement on the stage, I could easily point out each and every one of them. With this music it became even more obvious how open this presentation is, how much air filled the stage,let the instruments breathe and how long and natural the reverb was. The second feature that draw my attention from the very beginning was a unique spacial presentation of these speakers. 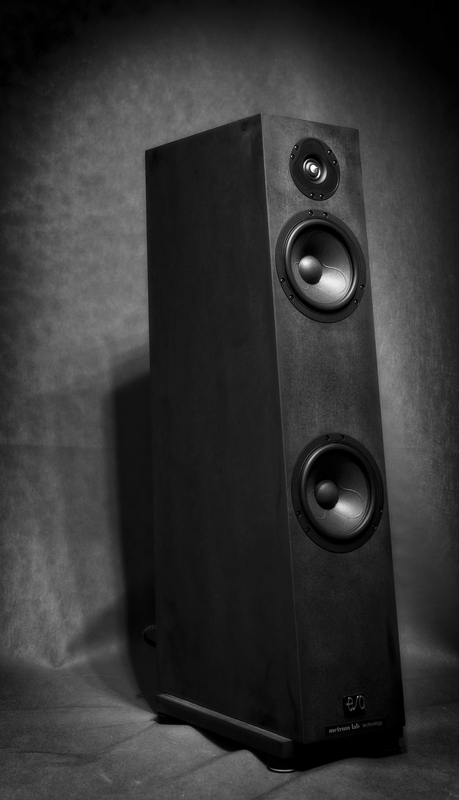 Every year, a dozen, sometimes more speakers come to my room and only a handful of them could compete with the tested pair in this regard (I’m talking about floor-standing models, because the stand-mount ones are a separate category). Obviously such spacial performance depends to a certain extent also on the accompanying setup, but the most important element, that is, the room, and its acoustics are basically the same for all my tests so comparing speakers seems fair. I can therefore say that this is one of the features that give Credo Stone an edge over most of the competitors I know and I refer particularly to the best ones I know. 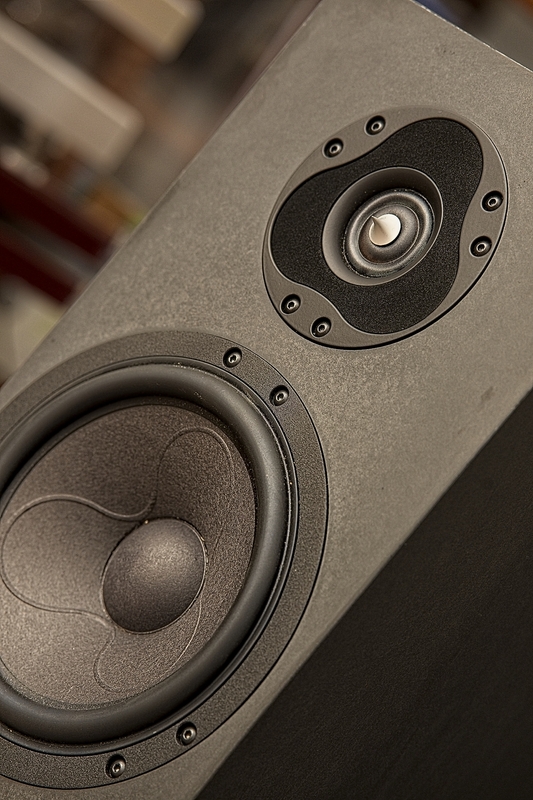 It was obvious from the start, that these speakers delivered outstanding performance but with every following day my appreciation for them grew and I was ready to compare them with more and more expensive competitors. The thing is, that the stage with Credo Stone reaches far beyond the space between left and right speakers, at least in recordings that cover this aspect of music properly (mostly live ones). It is not that ESA stretch the stage every time, they do not. But with them in my system I quickly got used to the sounds coming from unexpected spots in space placed far beyond left and right speakers. That’s one of the elements I missed most when I got back to my own speakers and probably will miss with many other that will come for reviews in future. I would like to emphasize once more that it never felt like the speakers added something in this regard on their own – it rather seemed as if they finally let me hear more accurately what was really there in some recordings. It got even more interesting and impressive when I listened to some recording with out-of-phase sounds creating crazy spatial effects. The Credo Stone presented them in such a convincing. immersive way that, although I knew exactly what to expect, say where a dog would bark from on Water’s track, where a helicopter would come from and go to on Pink Floyd’s, and so on, I kept on getting caught of guard and turning my head towards those sounds. When, late at night with dimmed lights, I listened to Przemysław Rudz “Music for stargazing”, the ESA effortlessly took me on a space journey fully using all the advantages of this recording and building a vast three-dimensional almost infinite space filled with stars, planets, comets… . It was an absolutely amazing, immersive experience even though I knew this recording, and many others I listened to, almost by heart.With Credo Stone I was excited as if I didn’t know them at all. I guess it may be the same for you as it is for me – the more I listen to a particular album the more difficult it gets to enjoy it as immensely as during the first few times. They simply are not as surprising nor as exciting as they were years ago because I know exactly what to expect. Unless, of course, some new component, say Credo Stone, is able to re-discover them for me, to get me truly excited again. Then listening even to well-known records never gets boring or less exciting. It is just like going to a concert of the same artist for a twentieth time – it can still be an unbelievable experience, a true rush, even though we keep singing the same songs along with them. In my experience that’s one of the most significant signs telling me that one or the other component is truly worth my attention. Of course, the remarkable bass and spacial presentations plus impressive imaging are not the only qualities of these speakers. This is just the beginning of a long list, but a truly impressive one, one that makes Credo Stone stand out from the crowd of expensive competitors. The aforementioned album by Przemysław Rudź, but also the wonderful concert of Paco Pena (with the band), both listened late in the evening, denied my initial assumption that was somehow stuck in my head (I guess after the AVS), that the new ESAs prefer to play loud or really loud. Well, they are really good at it, as even when I pushed the volume to (my) limits they still sounded pure, non-distorted and effortless (although the role of the amplifier is equally important in such cases). 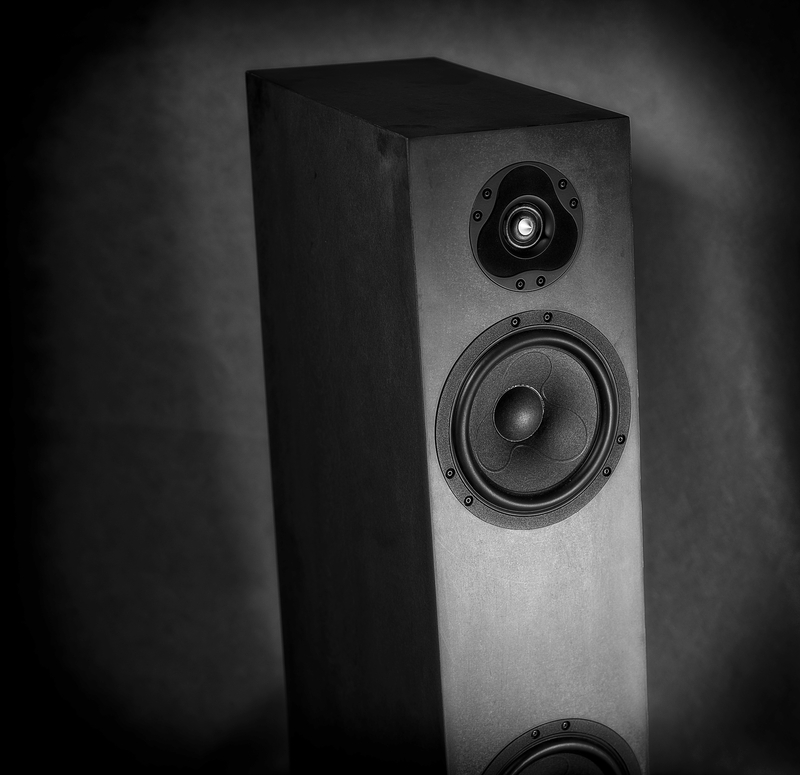 So it was me, who hearing how well they were doing pushed to the limit, how clean and dynamic they sounded, also in my room turned up the volume above my normal listening levels to simply enjoy the powerful, yet so well articulated sound. However, when it came to playing quite quietly it turned out that, unlike many other speakers, maybe even most of low to medium sensitive ones, the Credo Stone sounded fabulous even on slightly above whispering level. 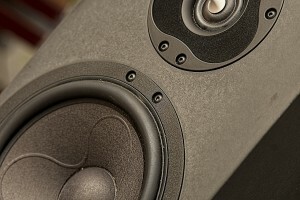 Many loudspeakers when playing so quietly suffer from detail and dynamics loss, but not the ESA. Again, the amplifier in such setup must do hell of a job and both, the Avid SigSum and my GrandiNote Shinai, did just that delivering a mesmerizing, totally immersive late night experience. When testing speakers, especially ones that cost that much, whenever possible one should listen to them driven by more than one amplifier. I already mentioned two solid-state ones, now came the time to try Credo Stone with the 30-watt Ayon SET, namely the latest version of the Crossfire III. Combining these two components together resulted primarily in a richer, more weighty midrange (notice, I never wrote, that with solid-state amp I missed anything in these regards). This, in turn, translated into a slightly warmer character of the entire presentation. It was a clear benefit for vocals that became more expressive, smother, denser, more emotional and more present – that’s what you expect from SET amp after all. The latter also applied to virtually all instruments playing in this range, especially acoustic ones. 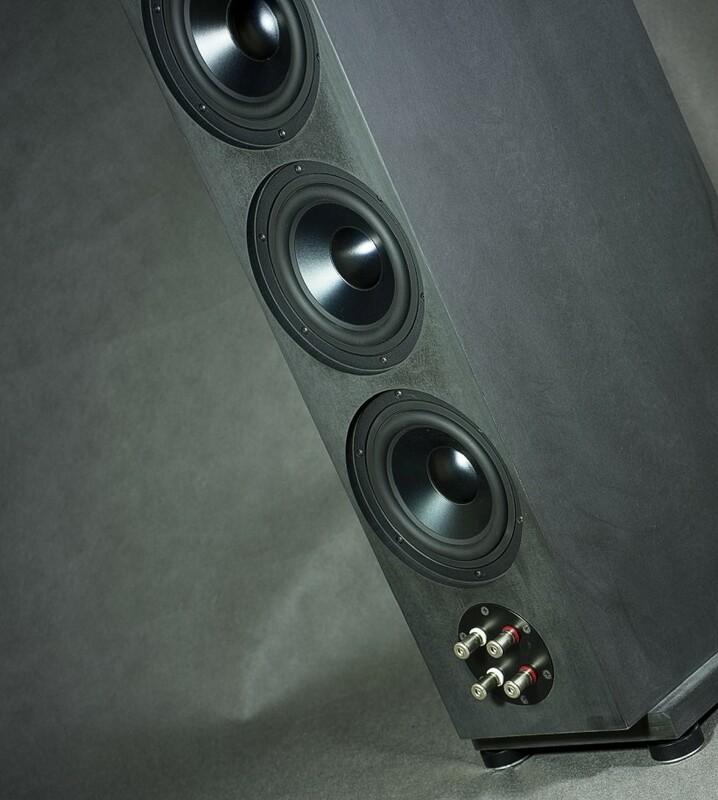 The Avid amp with these loudspeakers drew outlines of all virtual sources very precisely, and equally accurately placed them in particular spots on the stage. With Ayon that precision was somewhat lesser, but phantom images had denser, heavier bodies, and thus were actually more palpable and present. The top of the band, still pure, transparent and well differentiated, at the same time became bit more tube-like, meaning more ethereal and smooth which I (a huge SET fan) really appreciated. Also because I couldn’t really hear any roundness or roll-off of the very top end, while all the other treble features that I previously liked with Avid, were still there. The high tones were just bit richer, bit fuller. Yet, every rose has its thorns, so to speak. The changes in sound contributed by Ayon, from my point of view, considering my personal preferences, were definitely positive and I loved them. 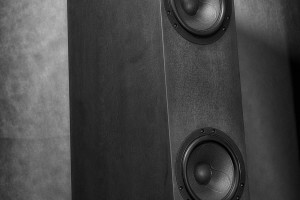 They also confirmed that these are quite transparent loudspeakers, that do not try to impose their own sonic character over every amplifier that are set up with. They seem to keep some of their qualities no matter what, i.e. they are smooth and coherent, but the rest depends largely on an amplifier and the rest of the setup. 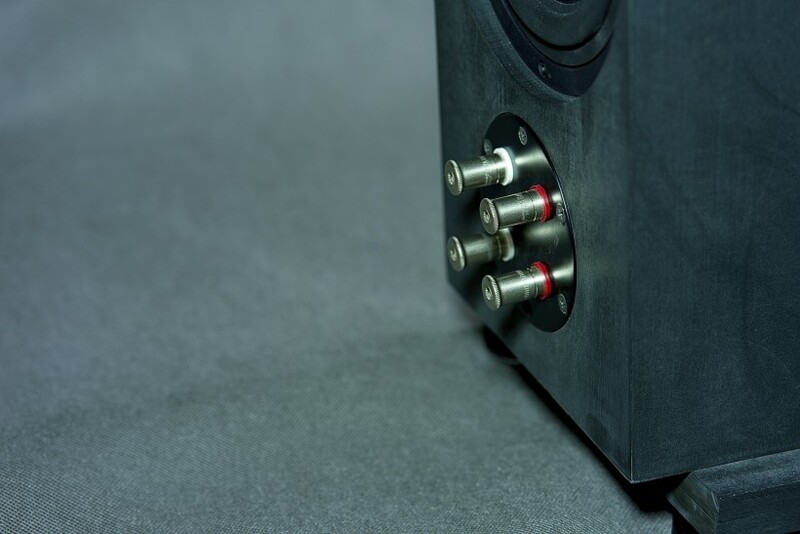 One thing every potential user needs to take into consideration is that, despite their somewhat misleadingly high sensitivity, they are quite demanding for an amplifier that drives them. 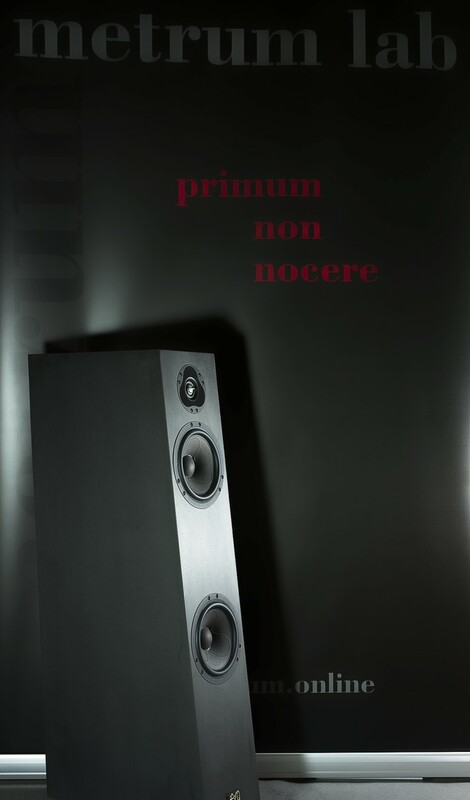 It’s not just about how good it is – it obviously must be a high-end performer considering the price of Credo Stone – but also about its ability to drive difficult loudspeakers. The Crossfire III surprised me in this regard many times perfectly driving some speakers I never thought it could. 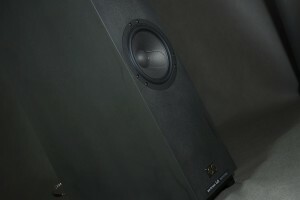 Yet, it’s 30W output was not as good as the 100W from Avid, at least in terms of bass performance. With Ayon, the bass was tuneful, nicely-differentiated, energetic, but not as well defined and controlled as with the British amp, and therefore not so immediate, fast and accurate. I still liked it a lot and enjoyed listening to it though. Simply, in direct comparison with the SigSum, it was clear that the Ayon’s capabilities in terms of bass playback were somewhat limited, at least in some respects. 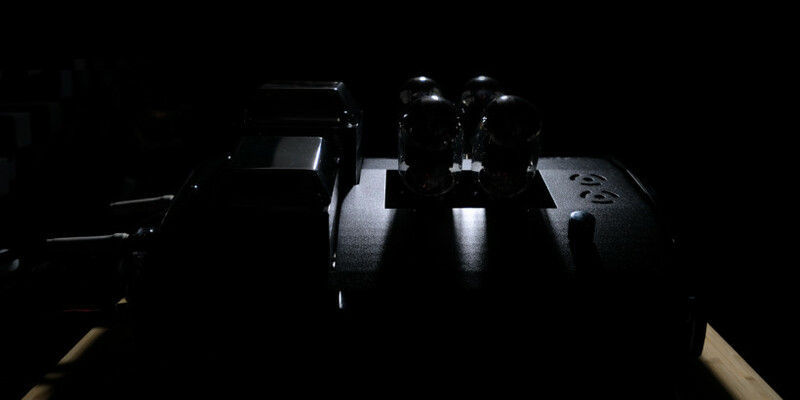 Yet, the timbre, as one would expect from a tube amplifier, was excellent, natural, and the textures were properly presented, so a playback of a double bass or a piano was almost perfect with a truly vibrant, clear sound with beautifully played sustained notes, with a long decay and a lot (but not too much) “wood” in the sound. Last but not least, I set up the reviewed speakers with my solid-state 37W class A, GrandiNote Shinai amplifier. I have been using it for more then 1 1/2 years and it is still to fail me in terms of not being able to drive some of the reviewed speakers. I did not look for particular challenges for it, just used it with every pair that came across my room and it did a very good to fantastic job with all of them. Driving Credo Stone with it yielded results that I would place somewhere between those obtained with Avid and Ayon. The bass was not so perfectly controlled, and dynamics as explosive as with SigSum, but both aspects came out better than with Ayon and objectively, very well. The timbre, richness and naturalness of the low range (as expected from an A-class amp) was closer to what SET had previously served me up with. Also the midrange was denser, smoother, more fluid, palpable and present with Shinai than with Avid, although in these aspects the Italian amplifier gave way to the Austrian one. 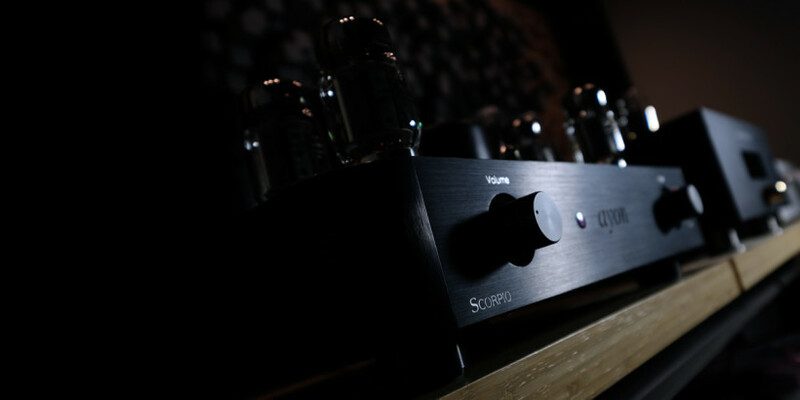 The top end, however, was slightly less direct than with SigSum and more similar to Crossfire’s in terms of the tube-like smoothness and richness while maintaining high resolution and amazing openness. Well, audio is, after all, on the one hand, an art of compromise, because there are no perfect audio components, and on the other hand, most people build their systems so that they would meet their particular needs and expectations. And the latter may differ significantly form user to user. To be honest, I would have a serious problem if asked to point out an unambiguously preferred combination. The Avid + Credo Stone combination offered the biggest “wow” effect with its impressive dynamics, speed, clarity and control over all aspect of the presentation. 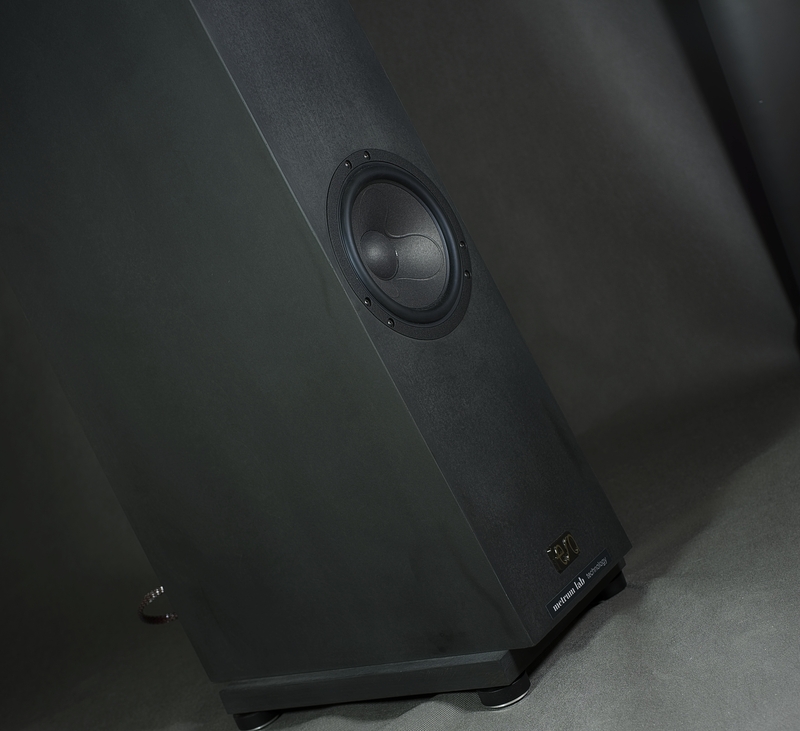 With Shinai, the A-Class solid-state, the Polish speakers delivered a bit warmer, richer, more tangible sound, particularly in the midrange area, and generally speaking the overall performance gave me more musical enjoyment. 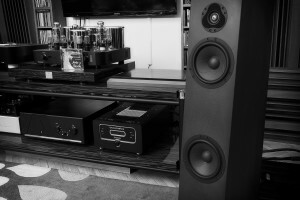 The Ayon, in turn, did not ensure such a close to perfect control in the lower part of the range, but the bit ethereal, pure, open and vibrant treble, plus the most palpable, most expressive (among these three amps) midrange, contributed to a musical spectacle that I, fan of tubes, enjoyed a lot. The most important conclusion from these auditions is that the ESA speakers tend not to dominate the sound, one can ultimately hear, with their own sonic features. The performance strongly depends on the amplifier driving the Credo Stone, the source and actual music one plays. These fantastic speakers will do a great job with almost any high-class amplifier, letting it decide the overall sonic nature of the sound. 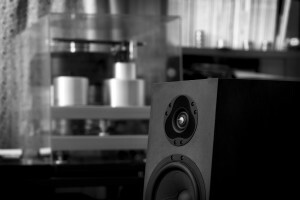 This is another huge advantage of these speakers that facilitates building a harmonious system of truly high-end quality. Many times, on various occasions, I’ve mentioned that one of my audio dreams is a truly high-end system composed of Polish components, that I could use for both, pleasure and critical listening during my work. 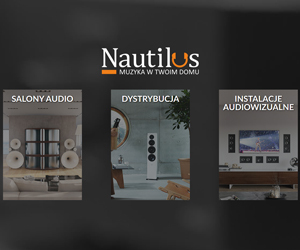 Apart from the financial aspect of such an undertaking (because Made in Poland does not mean cheap anymore), to even (theoretical) implementation of this idea I have been missing two key elements so far – proper amplifier and loudspeakers. After this test, one of the problems has been solved. The Credo Stone meet all my requirements. They do not have their own (strong) sonic character, they are resolving, clean, transparent, yet musically very pleasing. They are able to deliver an abundance of information in a focused, accurate, effortless manner. They are therefore a great choice for a reviewer, as they would make assessing other components much easier. For me, however, it is not enough – a great tool for reviewer’s job is highly appreciated, but I look for components that will satisfy my needs as a music fan. That will allow me to truly enjoy music in a way that I prefer. 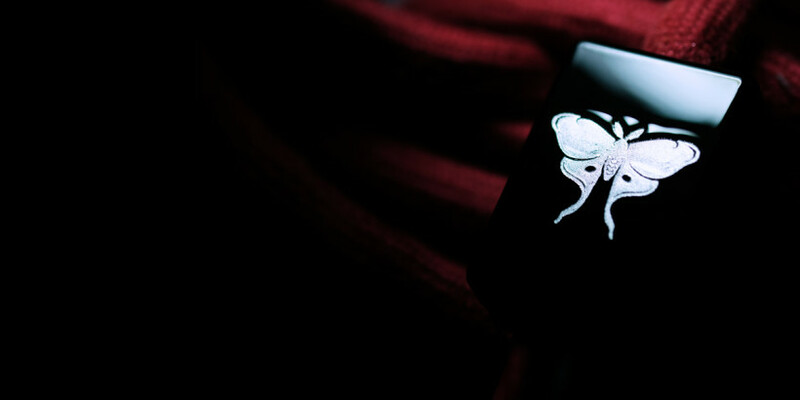 The sound has to be exciting, smooth, fluid, coherent and simply musically involving. I love live music, so at home I want a system that, to some possible to achieve extend at least, will remind me of what I experience during concerts. As it turned out, the ESA Credo Stone were able to keep me engaged and smiling the whole time, regardless of which music genre I played. It took me a long time to write this review, because it was simply hard to concentrate on the task at hand when I had so much fun listening to the music. The Credo Stone cost a lot, that’s true, but they so much to offer. I am sure they could compete head-to-head with many, even more expensive speakers developed by world’s renown designers and still come on top in many such cases. 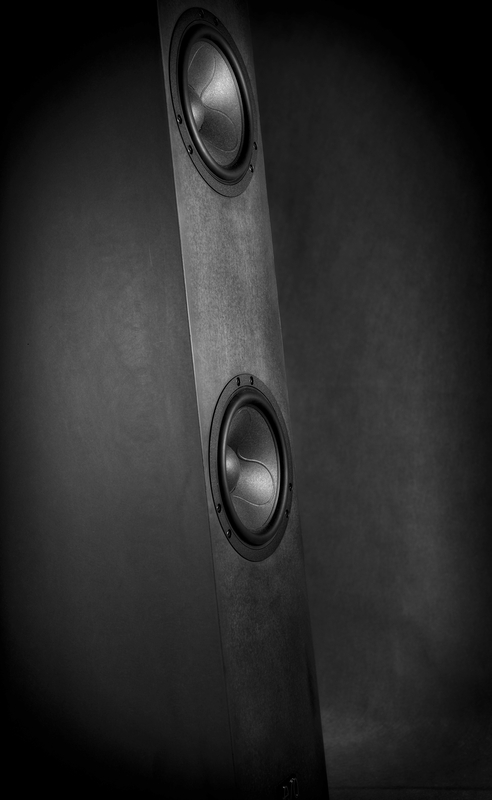 That is not to say, that these are the single best loudspeakers in the world (not just because I don’t think there is a single objectively best model), but that it is a serious contender to be considered by any owner of a refined high-end system. The Credo Stone combine two seemingly contradictory but key sonic features – they are neutral and natural / musical sounding beasts able to immerse listeners in an exceptional music experience. This is one of remarkable Polish audio product we can all be proud of! 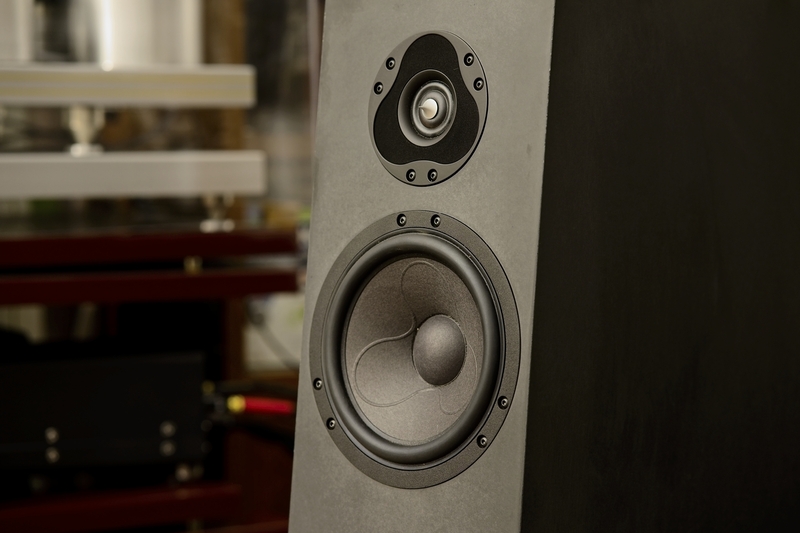 I am far from recommending you to buy these without listening to them first, but if you’re looking for truly amazing, highly enjoyable high-end speakers, just give ESA Credo Stone a chance. They definitely deserve it!